I’ve experienced various antivirus vendors over the years, and I was still surprised by ESET’s superb performance. Your product plus service are incomparable. Consider it, and consider it seriously. 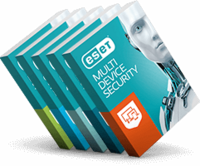 ESET has brought a sense of calm and tranquility into our institution and is securing our machines with ultimate protection that hasn’t been there before.